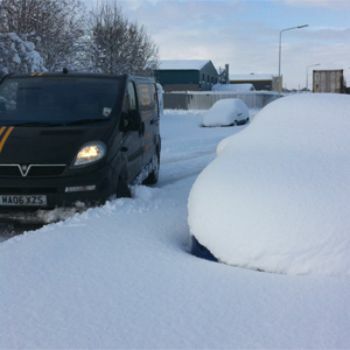 Snow Disrupts the UK but ISS Battle Through ! An Image of one of the ISS service team battling with the elements to provide the level of service that we feel our customers deserve. Our commitment to our customers and our products is our key priority, this trip to the North East demonstrates the levels that we will go to too achieve 'Customer Excellence'.